Homeowner cost 'less than the cost of doing nothing,' one housing advocate tells members. 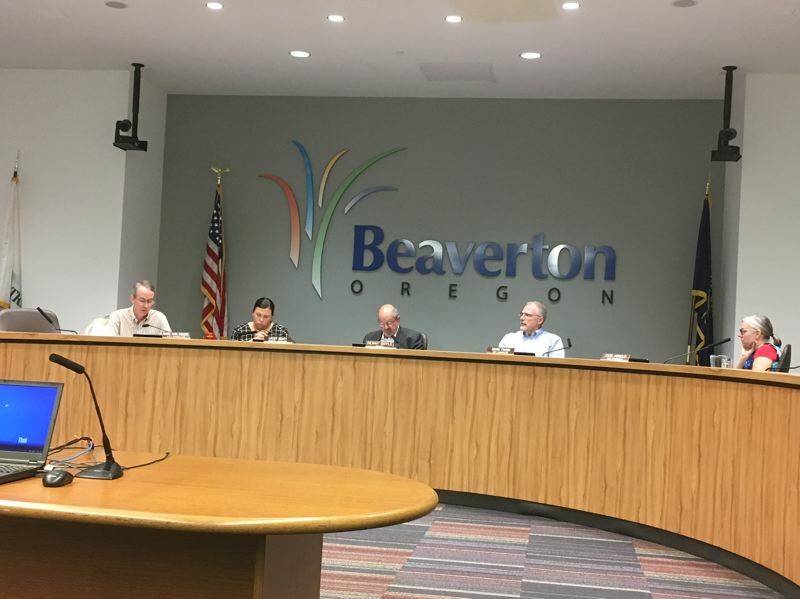 Beaverton City Council has endorsed a $652.8 million regional bond for housing and a state measure allowing public-private partnerships to build and own such housing. The resolution by Councilor Marc San Soucie put the council on record Tuesday in favor of Measure 26-199, sponsored by Metro, and state Measure 102 on the Nov. 6 ballot. "Funding from city sources, from Washington County, and from the state and federal governments is not adequate to address this growing problem," his resolution says. Washington County's share of the Metro bond is estimated at $200 million, likely to be split for projects by Beaverton, Hillsboro and the Housing Authority of Washington County. The cost of the bond to an average homeowner is $60 annually for the 20-year life of the bond. "I believe it's less than the cost of doing nothing," said Rachel Duke, executive director of Community Partners for Affordable Housing, and one of two people who urged council support for both ballot measures. The other was Mandie Ludlam, loan officer for the Community Housing Fund, who said $1.3 million in loans from the fund leveraged a total of $70 million in all forms of investment. Two councilors said their support is in line with this year's council priorities, which include a renewed effort to promote lower-cost housing. Beaverton is now recruiting for an affordable-housing manager, whose duties include overseeing how bond money would be spent on projects in the city. "This isn't perfect," Councilor Mark Fagin said. "But it's a tool we need. It's something that will move us further ahead than if we don't have it." Councilor Lacey Beaty is manager of school health clinics for Virginia Garcia Memorial Health Center, which just opened a larger wellness clinic in Beaverton. "In my day job, I work with a lot of families that are lacking housing and medical care," Beaty said. "This is a step in the right direction. It's not going to solve all our issues. But government needs to step in." Councilor Cate Arnold abstained on the 3-0 vote., describing herself as "conflicted." On a separate item later — for the city to accept a $20,000 grant from Metro to help Beaverton, Hillsboro and Washington County implement the bond if regional voters approve it — she joined the rest of the council to vote for it. Mayor Denny Doyle generally does not vote. He is a member of the committee promoting the Metro bond measure. Though Metro would administer the bond money, Doyle said cities and counties would oversee specific housing projects. "It's not something Metro is going to do," he said. "I get the phone calls about seniors being bumped out of their houses. I get the phone calls from families living in cars. This is a small step. But somebody in this region has got to stop talking about it and start doing it."